Chandigarh: New guidelines regarding plagiarism have been approved by the governing body of Post Graduate Institute of Medical Science and Research (PGIMER) to guide faculty members as well as medical students in the institute in ensuring that they do not fall into controversy in relation to the matter. The guidelines come in the wake of severe embarrassment that the premier medical college had to suffer in the past after repeated instances have taken place, where even senior faculty at the institute have found themselves caught up in cases of unethical research practices. In the month of May 2016, four doctors including two head of the departments at PGI Chandigarh were found guilty of “unethical practices” while conducting research work at the prestigious institute. Read Also: Copying of 10 consecutive words will be considered plagiarism: PGI Plagiarism guidelines. 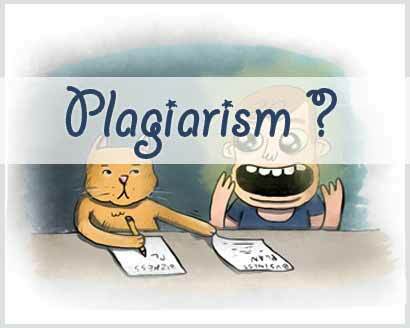 Now finally, the PGIMER governing body, in a recent meeting chaired by Union Minister of Health and Family Welfare JP Nadda in New Delhi decided to give its final nod to the Academic Penalty and Conduct Rules for those involved in plagiarism. Under this new guideline, any doctor or student found guilty of plagiarism will have bare its consequences. The guidelines are divided into three categories- mild, moderate and severe. In a mild count, the erring researchers will not be able to do research for one year. In moderate, they will not be allowed to present paper or do thesis for two years. In severe count, financial penalty will be imposed and the erring faculty member may be removed from the job. A student will have to do the whole research again if found guilty of plagiarism. Apart from the policy on plagiarism, there were other decisions taken during the meeting. An approval was given for 12 posts of assistant professor for the PGIMER and two for the AIIMS, Rai Bareli. A proposal for a geriatrics centre for the PGI to provide better health care to senior citizens has also been approved by the officials. The health care will be a 250-bedded centre to be built at an estimated cost of Rs 475 crore, adds the daily. I complained to the college principal and the MCI against one of the teaching faculty of our department who published the dissertation of my postgraduate student as original article in a Nepalese journal 5 years ago. No action was taken by the college management and he was promoted to higher position.Stealing others work and publishing as his/her own is a serious academic misconduct and only stern punishment will discourage others from resorting to plagiarism in future. All powers will be used…. ONE COUNTRY ONE LAW, SUCH RULES/ LAW SHOULD BE IMPLEMENTED ALL OVER THE COUNTRY . I AM SICK AND TIRED TO SEE ALL KINDS OF AKWARD PUBLICATIONS . THOSE WHO INVOLVED IN FAKE, FRADULENT, FALSE PUBLICATIONS HAVE NO FEAR, SHAME OR GUILT. SUCH PEOPLE SHOULD BE PENALISED / PUNISHED , AND. THEIR PROMOTION SHOULD BE CANCELLED , WHAT EVER FINANCIAL ADVANTAGES THEY HAVE TAKEN SHOULD BE RECOVERED WITH THE INTERST. SUCH PEOPLE NAMES SHOULD BE LISTED IN LIST OF PLAGIARISM .